Bailey, Maggie (2001). 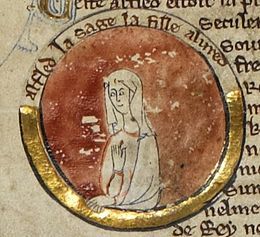 "Ælfwynn, Second Lady of the Mercians". In Higham, Nick; Hill, David. Edward the Elder 899–924. Abingdon, UK: Routledge. pp. 112–127. ISBN 978-0-415-21497-1. Charles-Edwards, Thomas (2001). "Wales and Mercia 613–918". In Brown, Michelle P.; Farr, Carol A. Mercia: An Anglo-Saxon Kingdom in Europe. London, UK: Leicester University Press. pp. 89–105. ISBN 978-0-7185-0231-7. Dumville, David (1996). 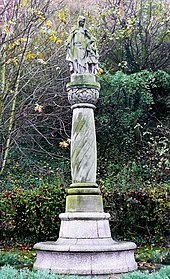 "The local rulers of Anglo-Saxon England to AD 927". In Fryde, E. B.; Greenway, D. E.; Porter, S.; Roy, I. Handbook of British Chronology (3rd, with corrections ed.). Cambridge, UK: Cambridge University Press. pp. 1–25. ISBN 978-0-521-56350-5. Gretsch, Mechtild (2001). "The Junius Psalter Gloss". In Higham, N. J.; Hill, D. H. Edward the Elder 899–924. Abingdon, UK: Routledge. pp. 280–291. ISBN 978-0-415-21497-1. Griffiths, David (2001). "The North-West Frontier". In Higham, N. J.; Hill, D. H. Edward the Elder 899–924. Abingdon, UK: Routledge. pp. 161–187. ISBN 978-0-415-21497-1. Hall, R. A. (2014). "York". In Lapidge, Michael; Blair, John; Keynes, Simon; Scragg, Donald. The Wiley Blackwell Encyclopaedia of Anglo-Saxon England (2nd ed.). Chichester, UK: Wiley Blackwell. pp. 518–520. ISBN 978-0-631-22492-1. Heighway, Carolyn M. (1984). "Anglo-Saxon Gloucester to AD 1000". In Gaull, Margaret L. Studies in Late Anglo-Saxon Settlement. Oxford, UK: Oxford University Department for External Studies. pp. 35–53. ISBN 978-0-903736-17-6. Heighway, Caroline; Hare, Michael (1999). "Gloucester and the Minster of St Oswald: A Survey of the Evidence". In Heighway, Carolyn; Bryan, Richard. 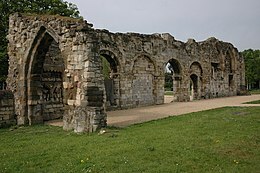 The Golden Minster: The Anglo-Saxon Minster and Later Medieval Priory of St Oswald at Gloucester. York, UK: Council for British Archaeology. pp. 1–29. ISBN 978-1-872414-94-2. Heighway, Carolyn (2001). "Gloucester and the New Minster of St Oswald". In Higham, Nick; Hill, David. Edward the Elder 899–924. London, UK: Routledge. pp. 102–111. ISBN 978-0-415-21497-1. Higham, Nick (2001a). "Edward the Elder's Reputation". In Higham, Nick; Hill, David. Edward the Elder 899–924. Abingdon, UK: Routledge. pp. 1–11. ISBN 978-0-415-21497-1. Higham, Nick (2001b). "Endpiece". In Higham, Nick; Hill, David. Edward the Elder 899–924. Abingdon, UK: Routledge. pp. 307–311. ISBN 978-0-415-21497-1. Insley, Charles (2009). "Southumbria". In Stafford, Pauline. A Companion to the Early Middle Ages: Britain and Ireland c. 500 – c. 1100. Chichester, UK: Wiley-Blackwell. pp. 322–340. ISBN 978-1-118-42513-8. Keynes, Simon (1998). "King Alfred and the Mercians". In Blackburn, M. A. S.; Dumville, D. N. Kings, Currency and Alliances: History and Coinage of Southern England in the Ninth Century. Woodbridge, UK: Boydell Press. pp. 1–45. ISBN 978-0-85115-598-2. Keynes, Simon (1999). "England, c. 900–1016". In Reuter, Timothy. The New Cambridge Medieval History. III. Cambridge, UK: Cambridge University Press. pp. 456–484. ISBN 978-0-521-36447-8. Lyon, Stewart (2001). "The coinage of Edward the Elder". In Higham, Nick; Hill, David. Edward the Elder 899–924. Abingdon, UK: Routledge. pp. 67–78. ISBN 978-0-415-21497-1. Meijns, Brigitte (2010). "The Policy on Relic Translations of Baldwin II of Flanders (879–918), Edward of Wessex (899–924), and Æthelflæd of Mercia (d. 924): A Key to Anglo-Flemish Relations". In Rollason, David; Leyser, Conrad; Williams, Hannah. England and the Continent in the Tenth Century. Turnhout, Belgium: Brepols. pp. 473–492. ISBN 978-2-503-53208-0. Szarmach, Paul R. (1998). "Æðelflæd of Mercia, Mise en Page". In Baker, Peter S.; Howe, Nicholas. Words and Works: Studies in Medieval English Language and Literature in Honour of Fred C. Robinson. Toronto, Canada: University of Toronto Press. pp. 105–126. ISBN 978-0-8020-4153-1. Thacker, Alan (2001). "Dynastic Monasteries and Family Cults". In Higham, N. J.; Hill, D. H. Edward the Elder 899–924. Abingdon, UK: Routledge. pp. 248–263. ISBN 978-0-415-21497-1. Thacker, Alan (2014). "Chester". In Lapidge, Michael; Blair, John; Keynes, Simon; Scragg, Donald. The Wiley Blackwell Encyclopaedia of Anglo-Saxon England (2nd ed.). Chichester, UK: Wiley Blackwell. pp. 104–106. ISBN 978-0-631-22492-1. Ward, Simon (2001). "Edward the Elder and the Re-establishment of Chester". In Higham, N. J.; Hill, D. H. Edward the Elder 899–924. Abingdon, UK: Routledge. pp. 160–166. ISBN 978-0-415-21497-1. Williams, Ann (1991a). 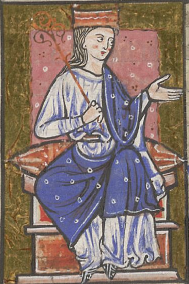 "Æthelred Lord of the Mercians c. 883–911". In Williams, Ann; Smyth, Alfred P.; Kirby, D. P. A Biographical Dictionary of Dark Age Britain. London, UK: Seaby. p. 27. ISBN 978-1-85264-047-7. Williams, Ann (1991c). "Ceolwulf II, King of Mercia 874–9". In Williams, Ann; Smyth, Alfred P.; Kirby, D. P. A Biographical Dictionary of Dark Age Britain. London, UK: Seaby. p. 78. ISBN 978-1-85264-047-7. Woolf, Alex (2001). "View from the West: an Irish Perspective". In Higham, N. J.; Hill, D. H. Edward the Elder 899–924. Abingdon, UK: Routledge. pp. 89–101. ISBN 978-0-415-21497-1.